The town of Cricklade known as the Southern Gateway to the Cotswolds (the village of Broadway being the Northern Gateway). It is the first town on the River Thames and lies between Cirencester and Swindon. There is a good selection of Places to Eat in the form of restaurants and tea shops and a variety of Places to Stay. Set in over 30 acres of secluded grounds on the edge of the Cotswolds, this country hotel features a golf course and leisure centre. Cricklade House offers home-cooked food and leisure facilities. 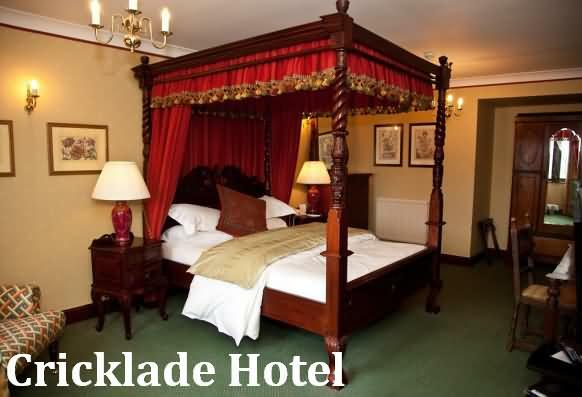 The elegant bedrooms at Cricklade each have a flat-screen TV, work desk and tea/coffee facilities. All rooms feature a private modern bathroom, and many have scenic views across the Vale of Cricklade. Guests can relax in the swimming pool, steam room and a spa bath, or try indulgent treatments in the nearby off-site beauty salon. There is also a tennis court and fitness centre, and a games room with snooker tables. The candlelit restaurant serves modern European cuisine using fresh, local produce. There is also a bright and airy conservatory with countryside views, and a cosy lounge bar offering free Wi-Fi. Just a 20-minute drive from Swindon, Cricklade House Hotel is within an hour’s drive of Oxford and Bristol. Free on-site parking is available, and Cirencester is just a 15-minute drive away.